The model - this tram carries Nikon all-over advertising and is believed to be a specially commissioned model and one that was not a general release. It has the four rear view mirrors already fitted and comes in a plastic display box. The packaging states 'not for sale'. 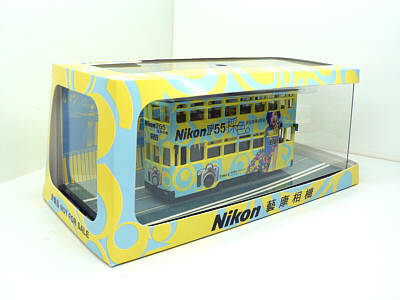 A new product launch party was held at The Hotel Inter-Continental Hong Kong yesterday for the new Nikon F55 camera. 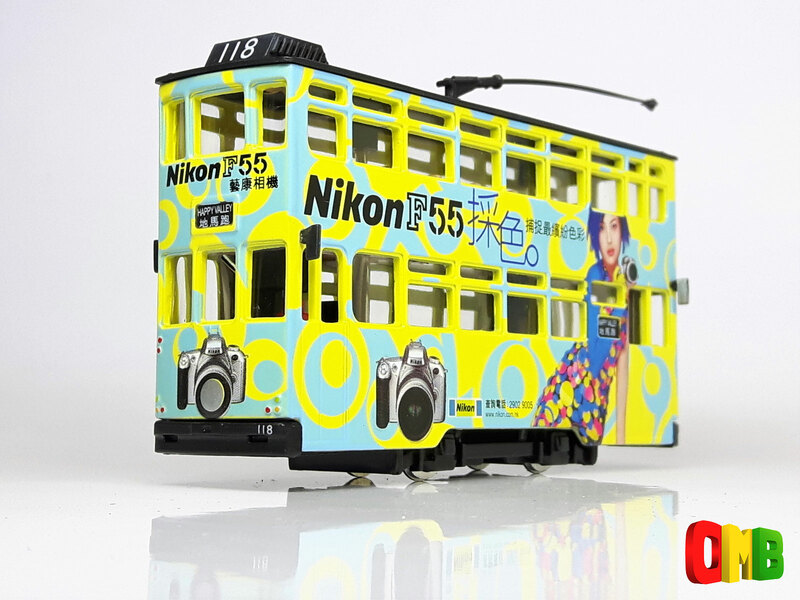 The above photograph is the new tram model fleet number 118 with destination blind "Happy Valley". The advertisement is for the Nikon F55 Camera with the Singer Joey Yung. It is a "NOT FOR SALE" product and it will be packed with the F55 or F55D Camera. The quantity is 3,500. The second photograph shows Ms. Joey Yung holding the signed Nikon F65 Bus Stop Shelter Model. 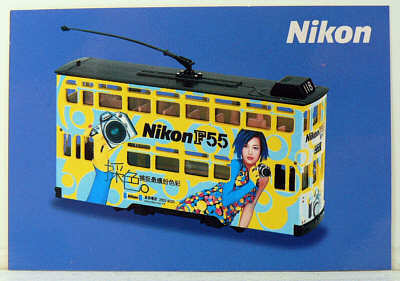 A new bus advertisement of Nikon F55 can be seen soon! I am grateful to both Jeffrey Keung of the Cosmopolis Bus Fan Club, Dennis Law and Ms Jinny Lau for this information. 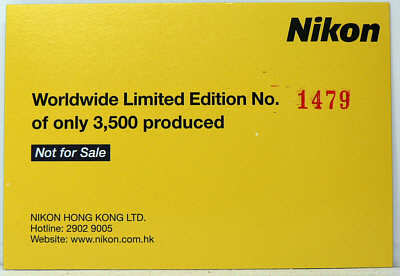 I have since been informed that this model was issued to purchasers of the Nikon F55 camera in Hong Kong in 2002.